Eileen O'Gorman | The PHOENIX Residents gathered at Loyola Park Aug. 25 to hear suggestions from environmental activist groups on how they can cut back on energy usage in their own homes. Alderman Joe Moore of the 49th Ward, a proponent of energy efficiency, sponsored the event. 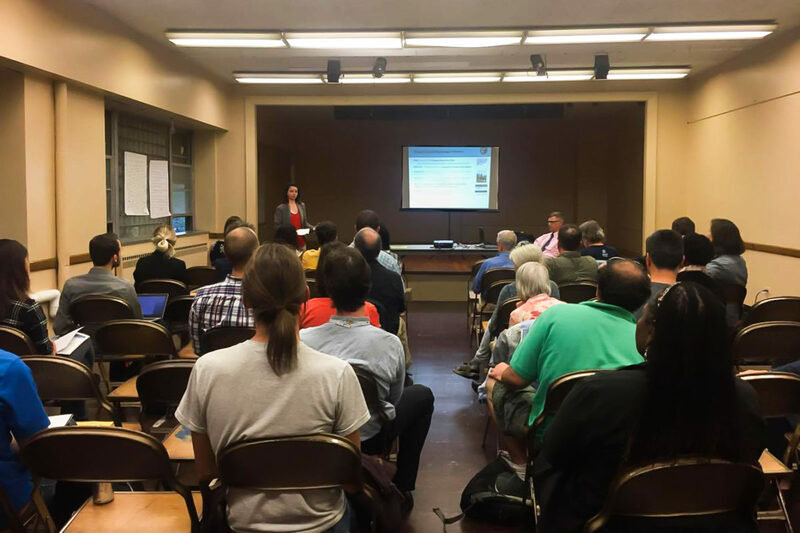 Representatives from The Sierra Club, Natural Resources Defense Council and the Illinois Solar Energy Association gathered to discuss ways to reduce energy consumption at the 49th Ward’s sixth climate change conference on Aug. 25 at Loyola Park. In past years, the event has given simple tips on how to reduce utility bills. However, due to the United States’ recent withdrawal from the Paris Climate Agreement, presentations took on a more serious tone this year as residents wondered what the departure from the agreement — which requires countries to track their greenhouse gas emissions — would mean. Since his election in 1991, Moore has implemented community gardening, created the 49th Ward Green Corps and hosted yearly environmental gatherings. He said he considers informative events such as the climate change conference to be the first step in ensuring that the United States doesn’t move backward in its climate efforts. Jack Darin of the Illinois chapter of The Sierra Club, a grassroots environmental movement that works toward a clean energy economy, echoed Moore’s readiness to commit to renewable energy. The Sierra Club recently launched its Ready for 100 campaign, a movement that urges residents to tell their local leaders, such as aldermen, to commit to 100 percent clean energy usage within a set amount of years, with most cities setting 2025 as their goal. Back in April, Mayor Rahm Emanuel committed to transition 100 percent of all Chicago’s public buildings to renewable energy by 2025. “[The Sierra Club is] very excited for what that commitment will mean for cities like Chicago who need cleaner air, technologies online and also to lift up communities that are in desperate need of economic investment through job training in renewable energy,” Darin said. According to The Sierra Club, the campaign targets government officials, but also calls on pastors, CEOs, teachers and principals to encourage the sole use of clean energy in their cities. While the shift to clean energy will start with stationary energy, such as buildings, heaters and phone lines, Ready for 100 encourages cities to eventually transition active energy, such as trains, buses and cable to clean energy as well. “Essentially, it’s a way to build morale and change attitudes towards clean energy,” Darin said. Darin said the biggest roadblock in the way of renewable energy usage isn’t that the technology doesn’t exist, but rather the public’s hesitant attitude toward finding alternative resources, as many believe the cost of transitioning their electricity outweighs the benefits. Chicago is 10th among major cities in the United States in clean energy leadership, according to Clean Edge, a research company devoted to the clean energy sector. Clean Edge cites Chicago’s recent history of revising water quality standards for the Chicago River, installing air monitoring benches in Southeast Chicago and local leaders’ support of the Environmental Protection Agency (EPA) as defining factors in its clean energy leadership. Chicagoans can reap the benefits of this access to clean energy not only in commercial buildings, but also in their homes. 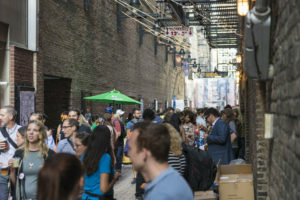 While most renters have little control over the energy sources in their buildings or houses, Lisa Albrecht of the Illinois Energy Association encouraged people to seek out residency that already offers solar energy, which is especially popular in buildings along the CTA Brown Line and in Edgewater. Local energy companies such as ComEd seem to be catching on to the shift toward renewable energy and more efficient energy consumption. The company introduced the Smart Meter in 2014 that allows customers to control their energy through high-usage alerts and weekly reports summarizing consumer daily electricity usage. The Smart Meter is marketed as a good option for students renting apartments.